The High Kings will perform on Saturday, March 19 at 8 p.m. at Sapinsley Hall in the John Nazarian Center for the Performing Arts on the Rhode Island College campus, 600 Mount Pleasant Avenue, Providence. The High Kings, those handsome young Irishmen whose vibrant take on rock and folk drew attention to their self-titled 2008 debut, return to the US in March with a new album and tour. Memory Lane (due March 8th on Ard Ri Entertainment/EMI Music) arrives on our shores just in time for St. Patrick’s Day celebrations. The group can count Billy Joel and Steve Martin as fans, as well as the million-plus viewers who have watched their “Rocky Road To Dublin” on YouTube. It's not surprising, given the group’s phenomenal live performances where band members play upwards of 13 instruments amidst rousing – and at times heartrending – harmonies. 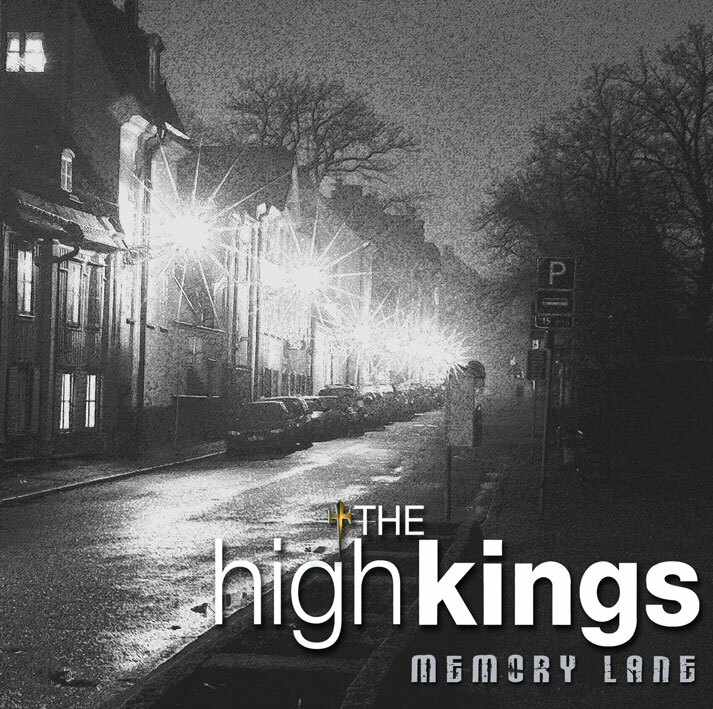 When Memory Lane was released in Ireland last year, it made #5 on the Irish Music chart and quickly reached double platinum sales amidst four sell-out Irish tours. 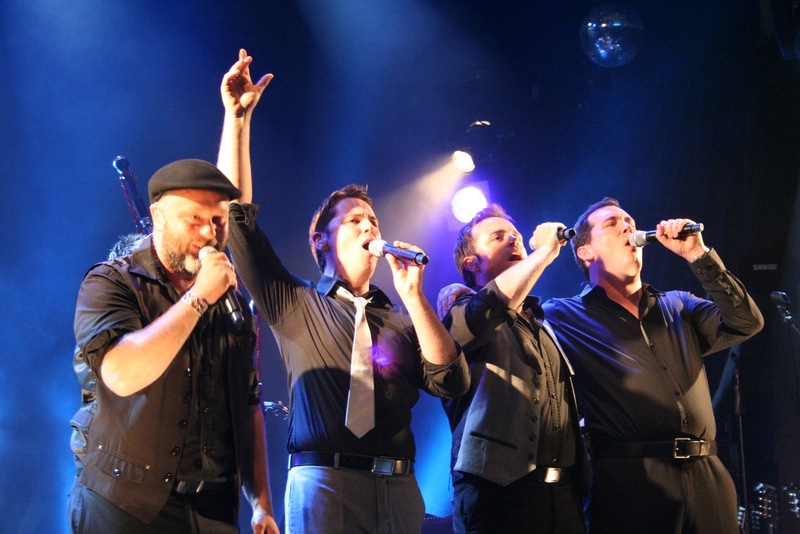 The High Kings have been named “Best Folk Group” for three years running by the Irish Music Awards. Much like their music, the members of The High Kings are made up of equal parts pop and traditional backgrounds. Darren Holden starred in over 1000 performances of Billy Joel’s production, 'Movin' Out', and toured as part of Joel’s own band; Finbarr Clancy is a scion of Irish music’s legendary Clancy family; Martin Furey is the son of the 'prince of pipers' Finbar Furey; and Brian Dunphy is the son of showband legend Sean Dunphy. Jack Yena's Legacy: Finding a Sense of Place explores John A. Yena's career at Johnson & Wales. Jack Yena was a member of the university administration since 1962, rising to university president in 1989. At that time, Yena was only the third president in the history of the institution. 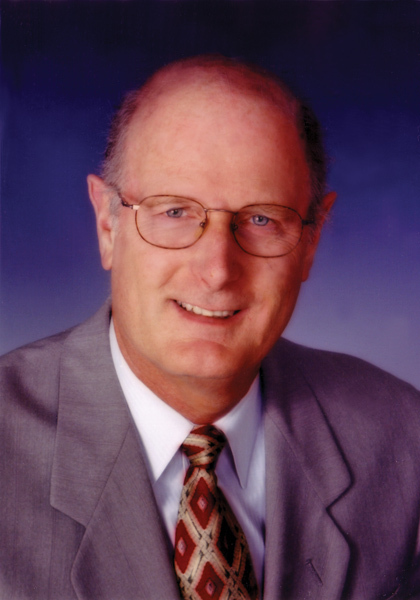 In 2004, Yena was named chairman of the Board, replacing Morris Gaebe, who became chairman emeritus and chancellor. Under Dr. Yena's tenure, the university formally established the College of Business, the Hospitality College, the College of Culinary Arts and the School of Technology. A new emphasis on general studies was introduced in 1992 with the development of the School of Arts & Sciences. During the Yena years, Johnson & Wales expanded and realigned some its two-year programs of study, introducing new four-year degrees. Johnson & Wales expanded geographically as well as academically. Yena took the institution's name recognition and its reputation as a career university to an international level. Yena also led the charge to establish campuses in North Miami, Denver, and Charlotte, giving Johnson and Wales University a "sense of place" for the first time since its founding. The first documentary, HERstory: The Founding Mothers of Johnson & Wales University, describes the revolutionary spirit and devotion to women's business education of Gertrude Johnson and Mary Wales, founders of what later became Johnson & Wales University. The film was nominated for a New England Emmy in 2005. WSBE Rhode Island PBS airs the documentary during Rhode Island Stories on Saturday, February 19 at 7:30 p.m.
A former journalist, filmmaker Marian Gagnon is a Johnson & Wales University Arts and Sciences faculty member. She wrote, directed, and produced the documentaries, and established her own independent film company, Goodnight Irene Productions. Eight years after The Station nightclub fire, are enough safeguards in place to prevent a similar event from occurring? On Sunday, February 20, it will be eight years since the fast-moving fire at The Station nightclub in West Warwick claimed 100 lives and forever changed the lives of many hundreds more. To mark that grim moment in the history or Rhode Island's family, WSBE will reprise the documentary, "41" on February 20 at 11 p.m. 41 the story about the fire's youngest victim, Nicholas O'Neill, who was 18 at the time of the fire. Earlier that day, a memorial service is scheduled to take place at 1 p.m. on the site where the nightclub once stood on Cowesset Avenue. The memorial service program, directions, and more information is available at The Station Fire Memorial Foundation. This story by WPRI updates the efforts to create a permanent memorial park on the site. Sunday night's film, 41, was produced and directed by Christian De Rezendes and Christian O'Neill (Nicky's older brother). It paints a portrait of Nicky's 18 years - packed full in so short a time with the young man's prolific writing, composing, acting... and his fascination with the number 41. But what makes the film so remarkable is the story after the story: what happened - and continues to happen - after the deadly fire took his life on February 20, 2003. Signs are everywhere that Nicky's spirit continues to move among his family and friends. Even strangers. "41" is a story of uplifting hope, insight, and comfort. And it may change the way you think about life and death. RI's Gilbert Stuart and His Most Famous Portrait He Never Finished: "First Face: The Buck Starts Here"
Mark Twain is thought to have quipped, "If Washington should rise from the dead and not resemble the Stuart portrait, he would be judged an imposter." Such is the legacy of the so-called Athenaeum portrait, and the subject of a new documentary by Jim Wolpaw, First Face: The Buck Starts Here. On several occasions in 1796, George Washington came to the Philadelphia home of the artist Gilbert Stuart (who was born in Rhode Island) to sit for a portrait. Those sittings produced what is, arguably, the most famous portrait ever created: the unfinished Athenaeum image of Washington that peers out from the dollar bill. First Face: The Buck Starts Here considers the circumstances leading to the creation of Stuart's portrait, and its subsequent life as the defining image of Washington and, ultimately, as an enduring symbol of America. The half-hour documentary is driven by the ironic contrasts between the mercurial Stuart and the highly controlled Washington, as well as contrasts between Washington the man and Washington the myth. Also premiering on Sunday, February 20, at 9:30 p.m., is Jack Yena's Legacy: Finding A Sense of Place. The film is the third in a trilogy about the history of Johnson and Wales University by filmmaker Marian Gagnon. The story focuses on a new force of strength and the different style of leadership of Jack Yena, from 1989 through 2004. Yena took the institution's name recognition and its reputation as a career university to an international level. Yena also led the charge to establish campuses in North Miami, Denver, and Charlotte, giving Johnson and Wales University a "sense of place" for the first time since its founding. John Marion - Executive director, Common Cause R.I.
John Hazen White, Jr. - President and CEO, Taco, Inc.
WSBE Rhode Island PBS HD programming over the air on digital 36.1, Cox 708, Verizon 508, ComCast 819. Our Rhode Island Congressional delegation - U.S. Senators Reed and Whitehouse, and U.S. Representatives Langevin and Cicilline - have expressed support for public broadcasting. If you still want to make your opinion known to them, of course you are welcome to do so. However, WSBE provides this announcement of the House budget debate to keep you informed, and invites you to join 170MillionAmericans.org. WSBE Rhode Island PBS appreciates the support of our Congressional delegation - and your support. Thank you! Congress will take a critical vote in the next few days to eliminate all federal support for local public television and radio stations. Federal funding provides an important share of the WSBE Rhode Island PBS funding. It helps us to deliver educational and commercial-free programming that expands children’s minds, documentaries that open up new worlds to you, trusted news programs that keep you informed, and exposes you to the worlds of music, theater, dance and art as an adult. Some say that there is no longer a need for federal support for public broadcasting. Others believe it’s one of the worthiest places to invest federal dollars. More importantly, though, is what you think. 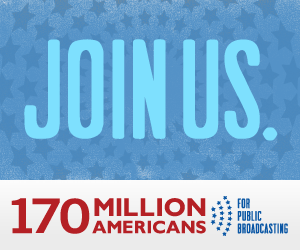 You can show your support by visiting 170MillionAmericans.org and sign up and receive updates. Is Rhode Island on the verge of bankruptcy? This news item didn't make our Community Calendar, but - in light of so many budget cuts to cultural programs in our schools - I thought I'd mention this very cool, important arts and culture event. WHERE: Odeon Theater at Laurelmead, 355 Blackstone Blvd, Providence. The Providence Branch of the English-Speaking Union will present the finalists in the Rhode Island High School Shakespeare Competition on Sunday, February 6 at 2 p.m. in the Odeon Theater at Laurelmead, 355 Blackstone Blvd. The public is cordially invited. All high schools in Rhode Island - public, private, and parochial - have been invited to participate. The purpose is to develop students’ understanding of Shakespeare and his universality. Each participant presents a sonnet and a monologue from one of the plays of no more than 20 lines. Seventeen schools accepted the challenge and have had in-house competitions. The 17 winners will make presentations at Laurelmead. The Rhode Island winner will go to New York in April, all expenses paid, and compete with more than 60 other winners from throughout the United States. The national winner receives a four-week summer drama course in Great Britain. There are cash awards of $1000 and $500 for second and third places. The English-Speaking Union is a non-profit, membership organization committed to promoting scholarship and the advancement of knowledge through the effective use of English in an expanding global community. The President of the Providence English-Speaking Union is Dr. Clive Bridgham. The competition coordinator is David C. Burnham, former headmaster of Moses Brown School. This year’s judges are Rhode Island-based: Lynne Collinson of 2nd Story Theater, Sam Babbitt of Feinstein Gamm Theater, and Michael Obel-Omia, Head of Paul Cuffee School and a Shakespeare authority. For more information, contact Clive W. Bridgham, 401-556-5601. Stress. In the beginning it saved our lives. It's what made us run from predators and enabled us to take down prey. Today, humans are turning on that same life-saving stress response to cope with 30-year mortgages, four-dollar-a-gallon gas, difficult bosses and traffic jams — and we can't seem to turn it off. As a result, we are constantly marinating in corrosive hormones triggered by the stress response. Now, scientists are showing just how measurable and dangerous prolonged exposure to stress can be. Stanford University neurobiologist, MacArthur "Genius Grant" recipient and renowned author Robert Sapolsky and National Geographic reveal new answers to why and how stress is killing us in Killer Stress: A National Geographic Special. This 2008 co-production of National Geographic Television and Stanford University, produced exclusively for public television, airs on WSBE Rhode Island PBS Wednesday, February 9 at 8 p.m.
Read more here on the National Geographic page. If you're looking for an alternative to football this Sunday, we've got plenty of heart-warming and blood-pumping moments for you, right on WSBE Rhode Island PBS. John Denver: A Song's Best Friend - He was one of America's most beloved singer/songwriters, and although soft-spoken folk singer John Denver may be gone, his legacy lives on in this documentary detailing the life and work of the man who penned such timeless tunes as "Rocky Mountain High" and "Sunshine on My Shoulders." Presenting his life as seen through the eyes of those who knew him best, filmmaker Greg Poschman interviews friends and family to explore the gentle soul of a songwriter known for his humble ways and enduring love of nature. In addition to interviews with Annie Denver, producer Milt Okun, manager Hal Thau, and a host of musicians who worked closely with Denver, this release also features rare, never-before-seen footage of the songwriter. John Sebastian Presents Folk Rewind - Hosted by John Sebastian of The Lovin' Spoonful ("Do You Believe In Magic"), the latest installment of the popular "My Music" series features a treasure trove of historical footage not seen in over four decades, plus exciting new concert performances by legendary artists who continue to thrill audiences today. Sebastian takes viewers through the extensive archival material, sharing the stories behind the music as he uncovers classic folk performances from the '50s and '60s. But the vintage footage is merely the prelude to the final act of this PBS pledge event – an exciting new concert featuring some of folk music's most enduring artists. All the original members of The Chad Mitchell Trio reunite to perform Bob Dylan's anthem "Blowin' In The Wind." Jesse Colin Young of The Youngbloods offers the generation-defining hit "Get Together." Barry McGuire belts out his 1965 chart-topper "Eve Of Destruction." And Roger McGuinn of The Byrds delivers an unforgettable encore of two of his biggest hits – "My Back Pages" and "Turn, Turn, Turn." Albert King with Stevie Ray Vaughan - In Session - In 1983, when legendary blues guitarist Albert King, then age 60, was joined by his disciple Stevie Ray Vaughan, then age 29, on a Canadian sound stage for the live music TV series In Session, magic took place. Albert King with Stevie Ray Vaughan In Session is not simply a television program: it's a summit of two master musicians. The only known recording of King and Vaughan performing together, this is the concert that blues fans in general, and Stevie Ray Vaughan fans in particular, have long awaited. Yanni: A Living Legacy - Yanni is known as one of the world’s most original and successful composers and musicians. His powerful compositions have come to define a new genre of music, and his live performances have been seen by more than 500 million people in more than 65 countries. Yanni: A Living Legacy features personally selected instrumental performances of many of Yanni’s most beloved compositions. Viewers will be able to experience the energy and magic of seeing Yanni live, re-live his most inspiring musical moments — captured at some of the most elegant and exotic venues from around the world — and be introduced to exclusive concert footage never before seen on television. Visions of Italy: Southern Style - Shot with the high definition technology from a helicopter–mounted camera, planned to precision with compasses for optimum lighting and angles, and scored with traditional regional music, WLIW New York's VISIONS® aerial series has thrilled PBS audiences nationwide. VISIONS® is a visual itinerary... an emotional visit to your family’s homeland... a souvenir of the trip of a lifetime... or the virtual realization of your fantasy vacation — whatever the inspiration, one thing's certain: you won’t see these locations like this any other way. Visions of Italy: Southern Style is a seamless sojourn following along the rugged western coastline to the toe of the "boot" at Reggio di Calabria, and then inland over the countryside to Rome. As I researched The Winemakers series to write about it, I found quite a bit of buzz about it online, particularly in wine blogs. The much-anticipated series was met with great enthusiasm by its audience when it was announced in 2008. About two years later, it finally made it to the public television airwaves for the first time. Now, season 1 of The Winemakers - with its six 30-minute episodes - makes its return by popular demand to WSBE Rhode Island PBS Wednesdays at 7 PM, beginning February 9 (digital 36.1, Cox/Verizon/Full Channel 08, Comcast subscribers check local listings; Dish 7776; DirecTV 36). The Winemakers follows 12 men and women as they compete for a chance to create and launch their own wine label nationwide. Produced in a reality television series format, this first season includes a passionate and diverse group of contestants from the vineyard to the boardroom as they struggle to make their wildest dream come true. More than two years in the making The Winemakers is a novel concept that provides a refreshing approach to more traditional wine programming. The series is a production of Doc City Productions and a presentation of South Carolina ETV. Polly Kosko, SCETV’s Executive Vice President of National Programming is not only a fan of the concept but believes the show will attract new audiences to Public Television. But executive producer and creator Kevin Whelan notes getting the show off the ground wasn't easy: “This show is something totally different for the wine category and it took the confidence of a major powerhouse in the wine world to embrace the concept.” Then industry leader Beringer Vineyards signed on as a major sponsor. The Winemakers series employs some of the same devices used on other competitive reality TV shows including action-packed challenges, dramatic elimination scenes and the heartbreak of being asked “to leave the wine cellar.” But in keeping with Public Television’s reputation for quality programming that entertains and informs, The Winemakers offers a rare insider’s view of how the world’s most storied beverage is made and sold. Other main judges include, Mark Oldman, author of the bestselling Oldman’s Guide to Outsmarting Wine, and Los Angeles-based wine writer Corie Brown. A host of guest judges also include Food and Wine magazine writer Lettie Teague, and Doug Frost, who holds the distinction of being only one of three people worldwide to hold both a Master of Wine and Master Sommelier title. Saturday nights are the neighborly place to be, thanks to Rhode Island Stories – a collection of independent films with a uniquely "Rhode Island" flavor. For an hour on Saturdays, from 7-8 P.M., visit with neighbors – the local people, places, and events that punctuate our history and reflect contemporary issues. Some subjects will be familiar; others will be more obscure. Either way, you can count on gaining deeper insight and new perspective you had not considered. The films chosen for Rhode Island Stories must have a local connection: the documentaries feature Rhode Island in some way, or have been made by one of Rhode Island's many independent filmmakers. The current Rhode Island Stories collection includes a mix of new and previously broadcast programs, and may be a single hour-long documentary or two 30-minute films. Emmy award-winning former Rhode Island television sportscaster Joe Rocco produced this story of a 50-year love affair between a hockey team and its thousands of passionate fans. He spent 18 months conducting interviews, and collecting vintage photos and rare film clips that hadn’t been seen in decades. Narrated by Boston Bruins legendary announcer Fred Cusick, When the Reds Ruled the Roost creates a compelling visual history of the immensely popular Rhode Island Reds, and includes colorful stories from former players, hockey Hall of Famers, owners, general managers, and coaches. This documentary examines the life and work of Steve Tyson, Sr. (1942-2008). Tyson was a Rhode Island preservationist whose company has restored and preserved hundreds of historic buildings and houses across Rhode Island, including such Rhode Island landmarks as Slater Mill in Pawtucket, Smith's Castle, the Towers in Narragansett, and several buildings in Rogers Williams Park. The documentary pays tribute to Tyson, his legacy and the tradition of architectural preservation in Rhode Island. Mark Twain is thought to have quipped, "If Washington should rise from the dead and not resemble the Stuart portrait, he would be judged an imposter." Such is the legacy of the so-called Athenaeum portrait. On several occasions in 1796, George Washington came to the Philadelphia home of the artist Gilbert Stuart to sit for a portrait. Those sittings produced what is, arguably, the most famous portrait ever created: the unfinished Athenaeum image of Washington that peers out from the dollar bill. First Face: The Buck Starts Here considers the circumstances leading to the creation of Stuart's portrait, and its subsequent life as the defining image of Washington and, ultimately, as an enduring symbol of America. The half-hour documentary is driven by the ironic contrasts between the mercurial Stuart and the highly controlled Washington, as well as contrasts between Washington the man and Washington the myth. 2/19/2011 at 7:30 P.M. – HERstory: The Founding Mothers of Johnson and Wales University profiles the lives of Gertrude Johnson and Mary Wales, founders of what is now known as Johnson and Wales University. These two enterprising women stepped out of the traditional female roles of their time period during a time when women in this country hadn't even gained the right to vote. In their Providence home, with just one typewriter and just one student, Johnson and Wales embarked on their mission to provide women, (and later, to provide men), with the skills needed to succeed in business careers. PREMIERE 2/20/2011 at 9:30 P.M. - Jack Yena's Legacy: Finding A Sense of Place The film is the third in a trilogy about the history of Johnson and Wales University by filmmaker Marian Gagnon. The story focuses on a new force of strength and the different style of leadership of Jack Yena, from 1989 through 2004. Yena took the institution's name recognition and its reputation as a career university to an international level. Yena also led the charge to establish campuses in North Miami, Denver, and Charlotte, giving Johnson and Wales University a "sense of place" for the first time since its founding. Special Memorial Encore Presentation 2/20/2011 at 11 P.M. – 41 This award-winning documentary by Christian de Rezendes and Christian O'Neill, tells a remarkable story of The Station nightclub fire's youngest victim, Nicholas O'Neill (Christian O'Neill's brother). It paints a portrait of Nicky's 18 years - packed full in so short a time with prolific writing, composing, acting... and an obsession with the number 41. But what makes the film so remarkable is the story after the story: what happened - and continues to happen - after the deadly fire took his life on February 20, 2003. Signs are everywhere that Nicky's spirit continues to move among his family and friends. Even strangers. 41 is a story of uplifting hope, insight, and comfort. And it may change the way you think about life and death. 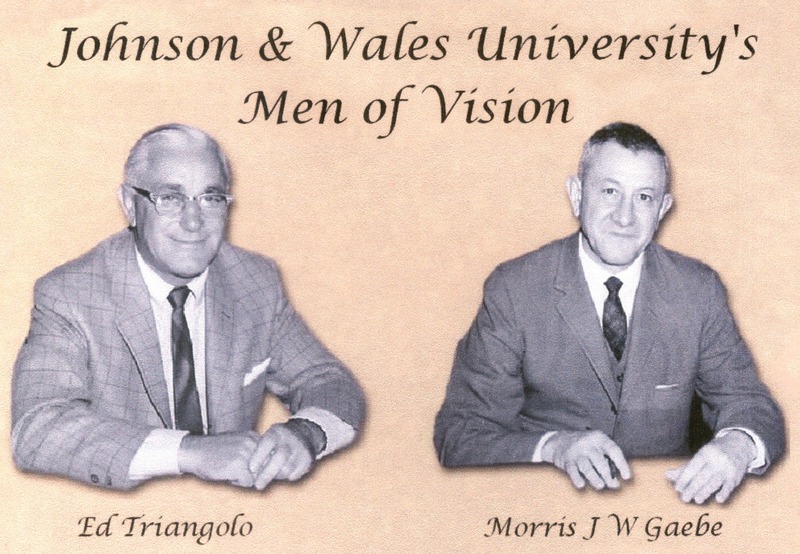 2/26/2011 at 7 P.M. (re-broadcast 2/27 at 11:00 P.M.) Johnson and Wales University's Men of Vision This film spans the years from 1947 (when Gertrude Johnson and Mary Wales retired) to the late 1980s, and focuses on the contributions made by Morris Gaebe and Edward Triangolo. The enduring friendship and professional partnership between these two men were so strong and well balanced that, as a team, they were unstoppable. They grew the small business school from 100 students to an internationally recognized university with more than 12,000 students from every state in the nation and more than 70 foreign countries.